THE POLITICAL editor of The Sun — Tom Newton Dunn — has a secret. He’s been involved in illegal news-gathering. 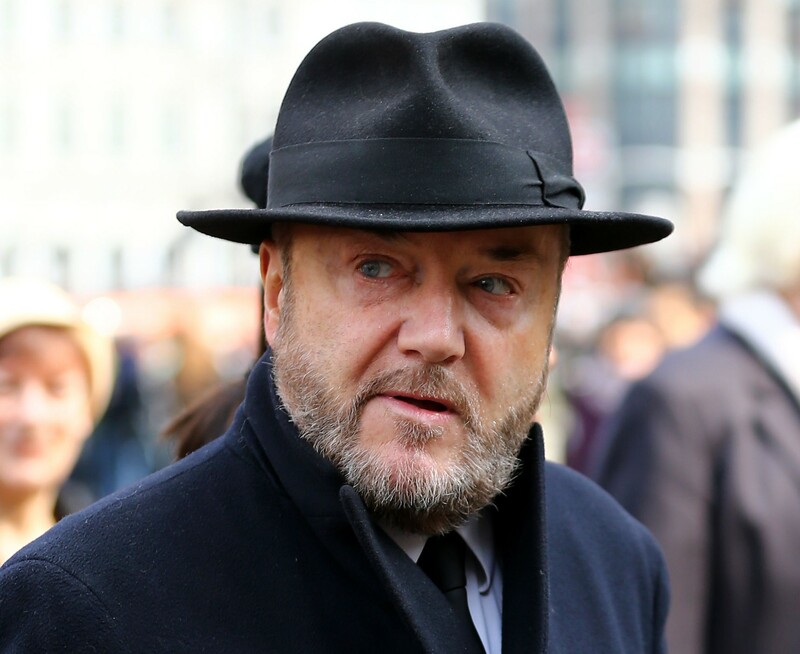 Documents obtained by Press Gang implicate him in a “dirty tricks” campaign against a Tory politician. But was it off his own bat — or did someone order him to do it? 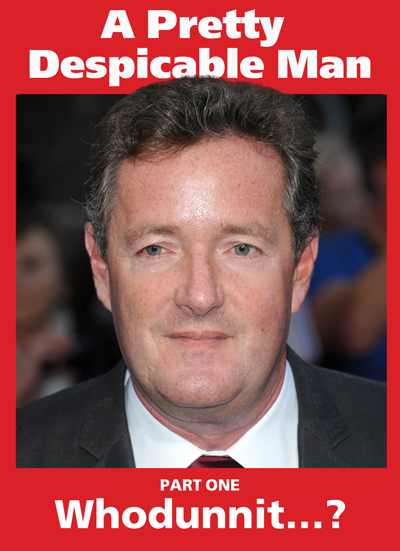 At the time Newton Dunn was working for Piers Morgan at the Daily Mirror. The new information comes from a Press Gang investigation of Piers Morgan — the largest ever undertaken. The title is based on a comment made by Morgan himself — he once said you had to be a “fairly despicable” human being to edit the Mirror. 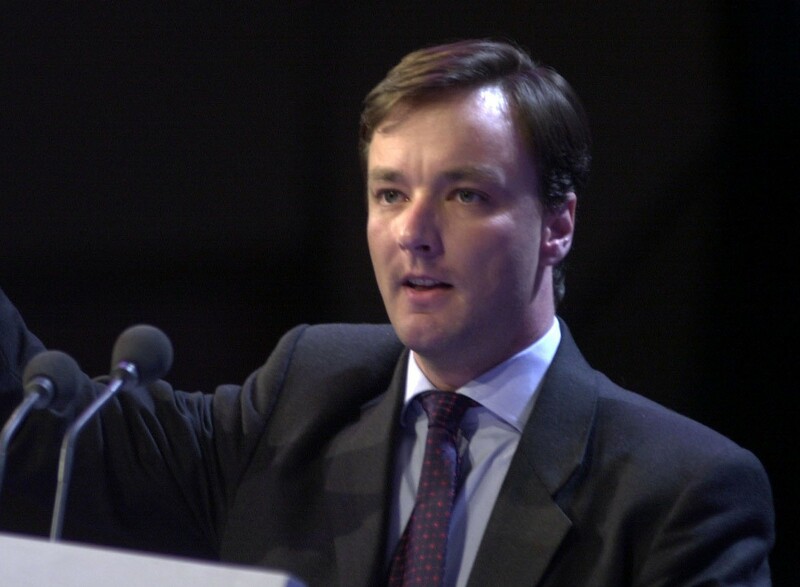 The politician targeted was Adrian Flook, Conservative MP for Taunton between 2001 and 2005. He now works for the Australian spin doctor Lynton Crosby. 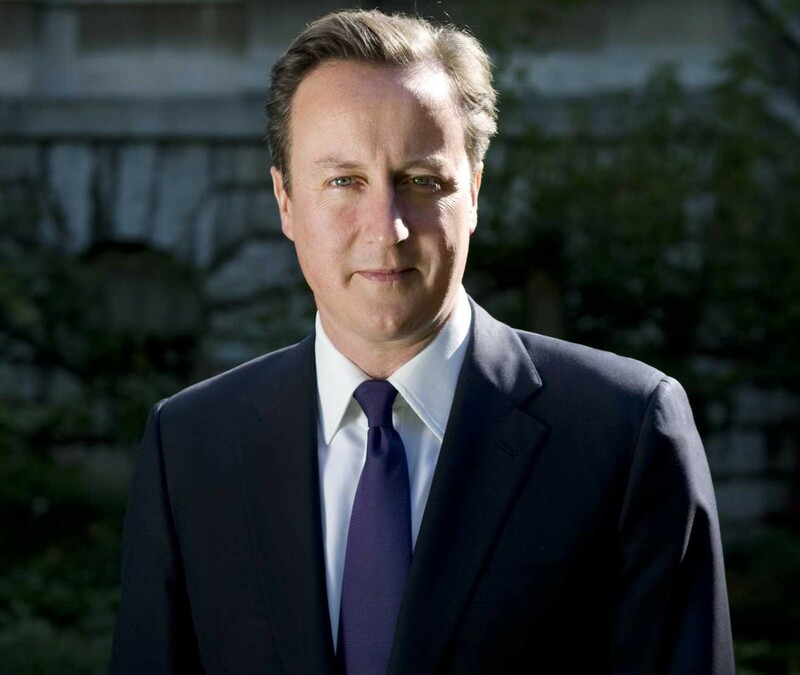 Crosby is a political advisor to David Cameron. Flook knew nothing about the operation until we contacted him. 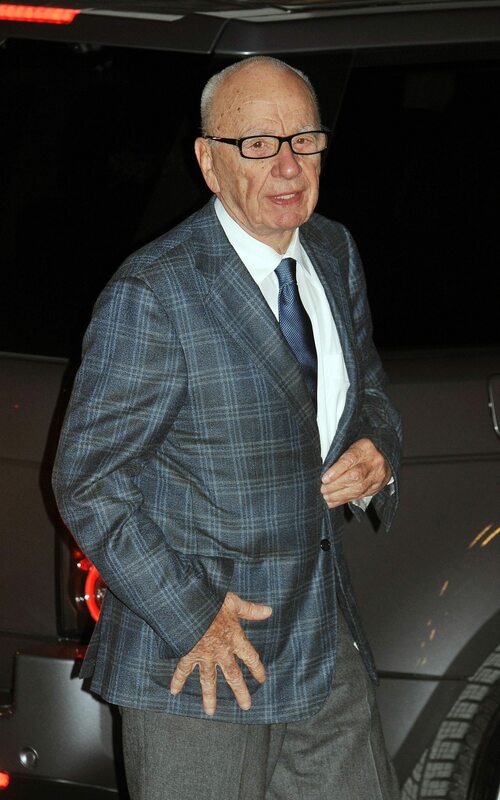 THE CURRENT political editor of The Sun was involved in the “dark arts” of illegal news-gathering when he worked for the Daily Mirror between 1998 and 2003. This undermines Morgan’s insistence he knew nothing about phone hacking and other unlawful activities while he was editor. The former MP was a member of the Commons Culture Media & Sport select committee when it investigated press invasion of personal privacy in 2003. Piers Morgan, Andy Coulson and Rebekah Brooks all gave evidence. This was also the occasion when Rebekah Brooks made her famous admission that she had paid police for information.She didn’t realise she was confessing to a crime. 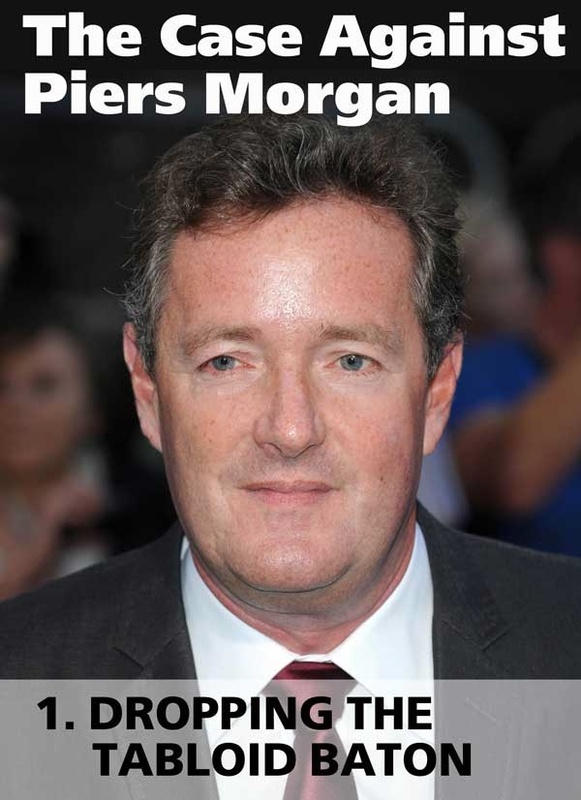 Piers Morgan called it “dropping the tabloid baton”. Was this an admission that Mirror reporters — like Newton Dunn — were willing to pay police for information? And was he also referring to his payment of a large sum of money for a confidential police file concerning Princess Diana back in 1994? ONE DAY, early in 2001. A private detective based in Hampshire receives a request from the Daily Mirror. The paper is researching a Tory councillor in the London borough of Wandsworth called Adrian Flook. Flook is also the party’s prospective parliamentary candidate for the Taunton constituency. The private eye is Steve Whittamore. In the office of his home in New Milton, Whittamore reaches for a red notebook. The “Red Book” is where he records work commissioned by the Daily Mirror and its sister papers The People and the Sunday Mirror. Some of the paper’s requests are straightforward and legal — it wants to know who’s living at Flook’s London home and at his base in Taunton. But Whittamore’s services also include a battery of unlawful activities. These range from obtaining ex-directory numbers and detailed phone bills to “blagging” other personal information. The most powerful are criminal record checks — known as CROs — made on the Police National Computer. The Mirror wants to know if Flook has a criminal record. ADRIAN FLOOK did not know the Daily Mirror ordered an illegal criminal record check on him until Press Gang told him earlier this year. 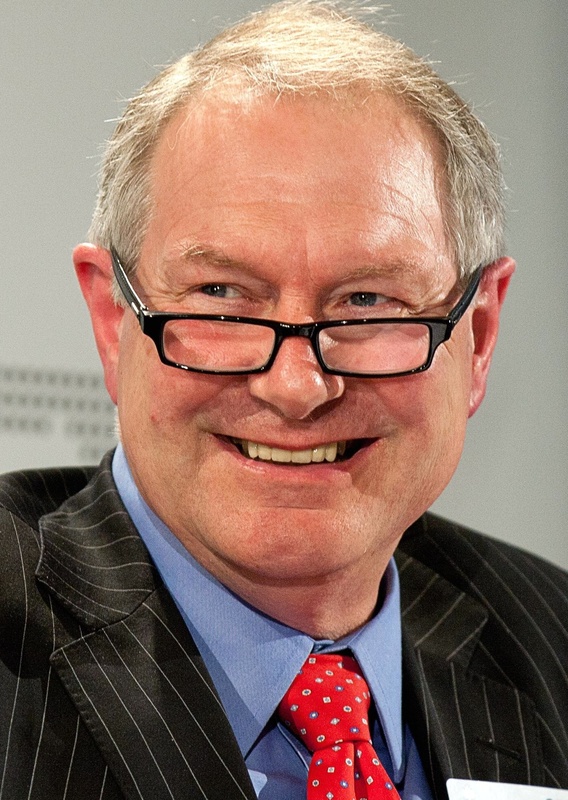 Elected Tory MP for Taunton in 2001, he lost his seat in the 2005 General Election. In the “Red Book” Whittamore notes the paper’s order for a “CRO” and logs Flook’s date of birth. Only police — and a small number of other agencies — are allowed access to the Police National Computer (PNC). Because it’s a criminal offence to search the PNC without proper authorisation, CROs are the most expensive weapons in Whittamore’s arsenal. Whittamore also notes the name of his contact at the paper. It’s a young journalist called Tom Newton Dunn. He’s been with the Daily Mirror since 1998. The Daily Mirror never published an article about Adrian Flook. “That’s because I don’t have a criminal record,” Flook says. 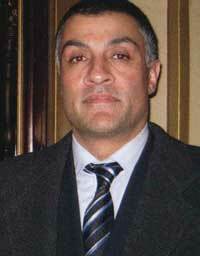 In 2003 the Information Commissioner’s Office (ICO) raids Whittamore’s home as part of Operation Motorman. 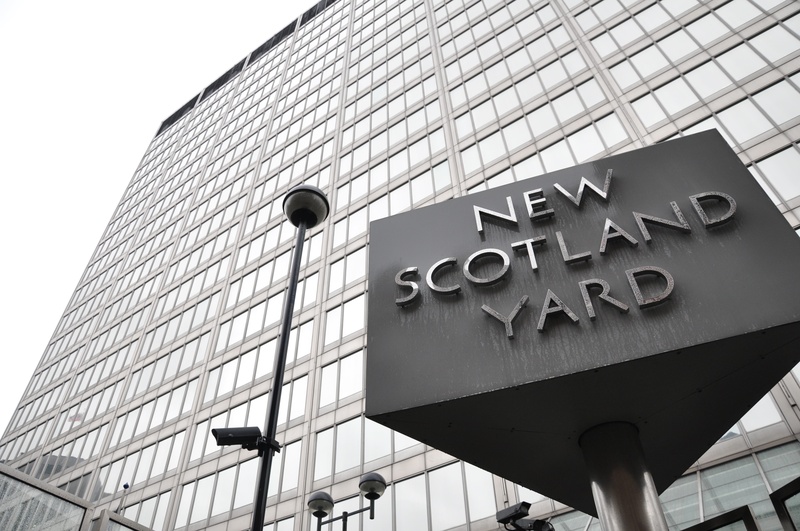 When investigators discover Whittamore has also been paying police officers and civilians, they call in the Metropolitan Police. The Met launches Operation Glade. In 2005 Whittamore pleads guilty to breaching the Data Protection Act. Two of his associates — a former police detective and a civilian employee — also plead guilty to conspiracy to commit misconduct in public office. They’ve been making unauthorised searches of the Police National Computer. Flook is one of thousands of individuals whose names turn up in Whittamore’s files. The vast majority are never informed by the Metropolitan Police or the Information Commissioner’s Office. THE INVESTIGATION for this story began three years ago. Earlier this year Channel 4 agreed to underwrite some of the research. It later dropped the project. In March we found an informant — codename “Trinity” — who provided information that the Mirror could have targeted Adrian Flook. “Trinity” suggested Flook’s name might be found in Whittamore’s “Red Book”. We spoke to the former MP. He then wrote to the Information Commissioner’s Office asking if he featured in any of the records seized as part of Operation Motorman. In May Information Commissioner Christopher Graham replied. He enclosed a photocopy of an entry in Whittamore’s notebook which confirmed Flook had been a target. THE EXTRACT from Steve Whittamore’s “Red Book” recording the operation against Adrian Flook. The first entry records the name of the journalist involved — “Tom Newton-Dunn”, followed by the newspaper, in this case “D. M.” = Daily Mirror. The “N” in the circle means the request is coming from news rather than features. No date is given but Press Gang believes it was in February 2001. Most of the searches ordered are legal — it’s only in the last line that the request becomes potentially criminal in nature. It states “CRO [short for Criminal Record Check] for above — D.O.B 9 / 7 / 63”. That date is Flook’s birthday. The section concerning the CRO check has a wavy black line written through it. The Daily Mirror could have cancelled the request. Or it could mean Whittamore passed the request to his contacts in the police — and drew the line to remind himself he’d done so. Flook wrote to Metropolitan Police Commissioner Sir Bernard Hogan-Howe. He asked him to check if the Police National Computer check had actually taken place. 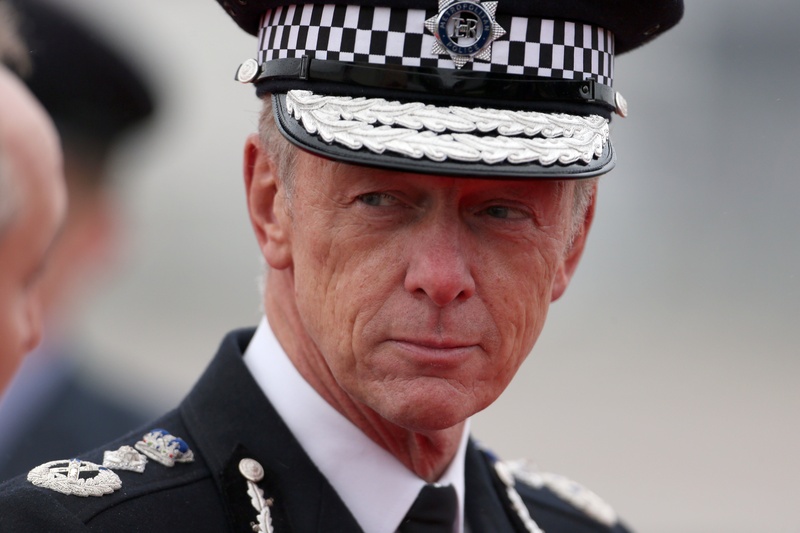 Hogan-Howe passed the matter to the Met’s Directorate of Professional Standards (DPS). In May Flook met Detective Superintendent Clive Stevens from the DPS. Stevens also addressed the question of why Flook was never informed he’d been a target of Steve Whittamore and the Daily Mirror. “The workbooks seized from Stephen Whittamore contained several thousand entries,” he explained. Adrian Flook cannot understand why he was never contacted. 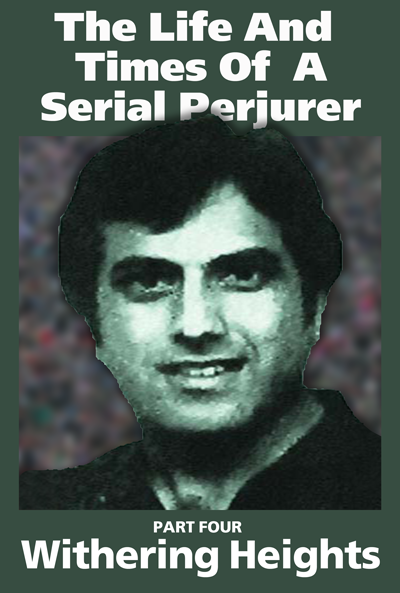 By the time Operation Glade began in March 2003 he was no ordinary citizen. He’d been elected to Parliament. More than that, he was also a member of the Culture, Media & Sport select committee which held hearings into privacy and the press in 2003 a few days after Whittamore’s arrest. PIERS MORGAN was summoned to appear before the Culture, Media & Sport select committee in March 2003. 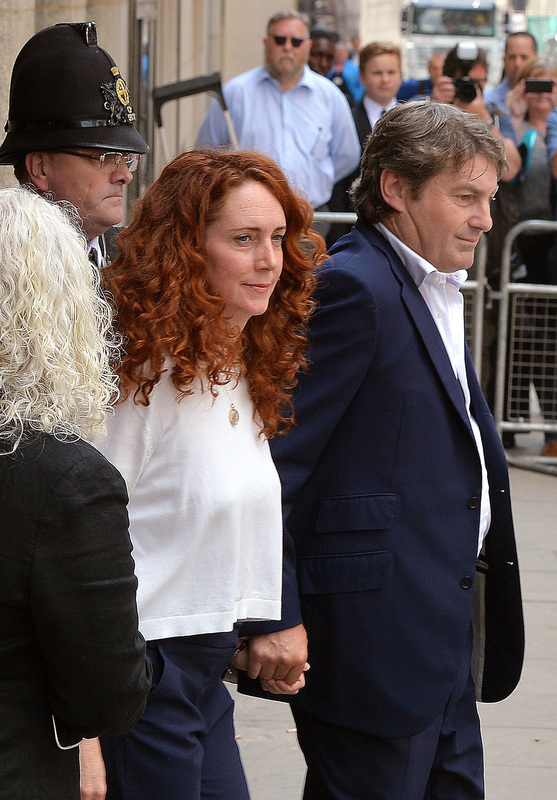 Also appearing on the same day were his friends Rebekah Brooks (then using her maiden name Wade) and Andy Coulson. 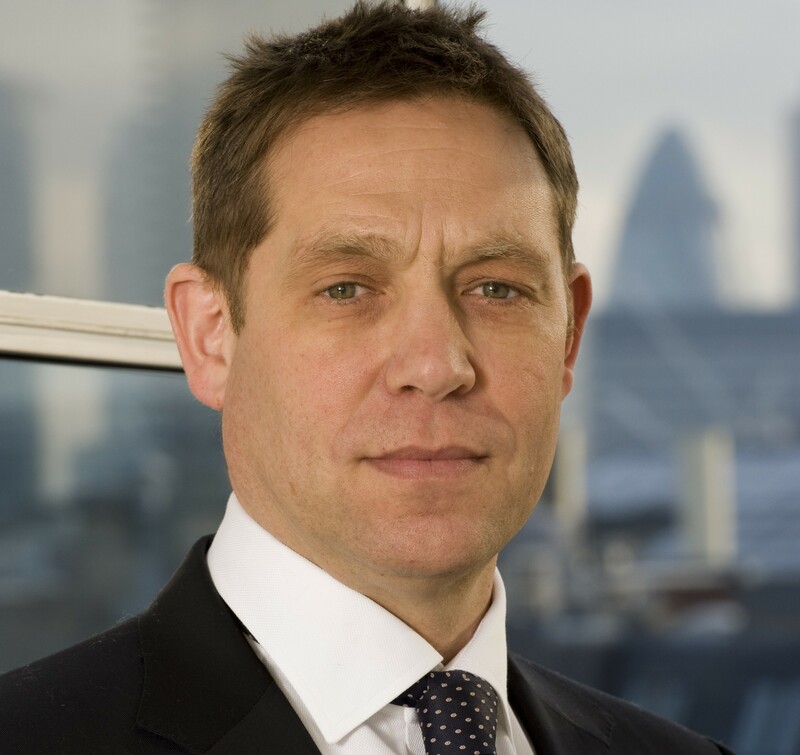 Brooks had been appointed Sun editor the previous January and Coulson had slipped into her role at the News of the World. Even though they edited papers with a greater circulation, Piers Morgan was the senior member of the troika. 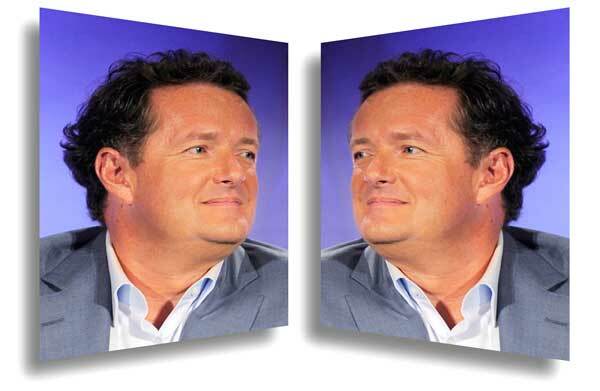 Morgan first met Coulson while he was running the celebrity column “Bizarre” for The Sun in the late 1980s. 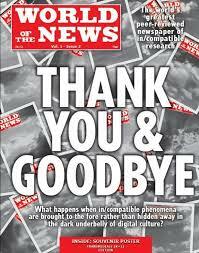 When Morgan was appointed News of the World editor in 1994, Coulson took over “Bizarre”. Rebekah Brooks was a journalist on the News of the World when Morgan took over the paper in 1994. He quickly gave her first promotion — to features editor. His endorsement meant she would have come to the attention of Rupert Murdoch himself. 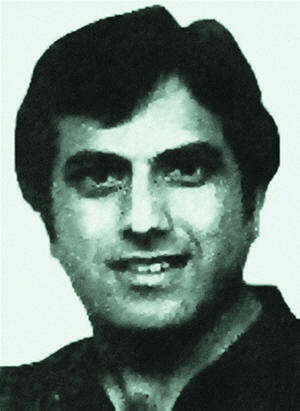 THREE DAYS before the Culture committee was due to meet, private eye Steve Whittamore was arrested. A lucrative enterprise came to an abrupt halt — affecting the papers edited by Morgan, Brooks and Coulson. Right up until his arrest on the Saturday morning, Whittamore had been working for all three. By Monday morning at the latest, the Mirror news desk would have learnt one of their major sources of illegal material was out of business. It would later emerge that the Information Commissioner’s Office analysis of Whittamore’s “Red Book” established that 47 Daily Mirror journalists had made requests from the private eye. 684 of these requests were unlawful. One of the 47 journalists was Tom Newton Dunn. According to our source “Trinity”, he was responsible for more than 50 requests. 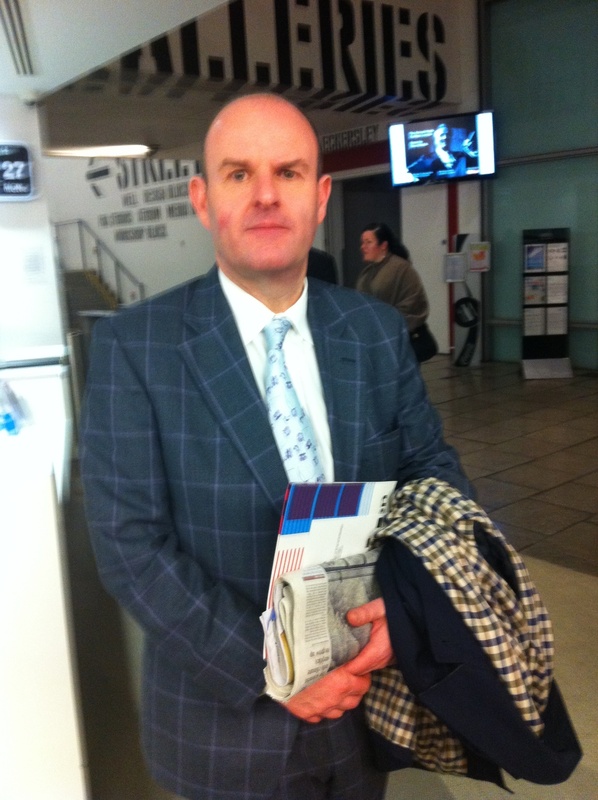 CURRENT EXECUTIVE editor of the Daily Mirror, Gary Jones is another journalist who appears in the “Red Book”. 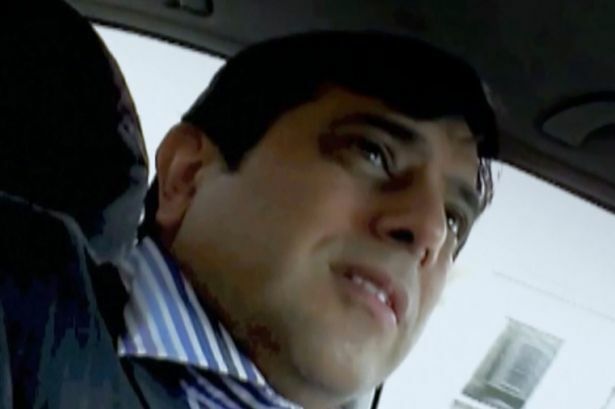 His name is on more than 150 requests recorded by private eye Steve Whittamore. Jones was one of Piers Morgan’s key lieutenants in the paper’s “dark arts” operations — and plays a major part in later sections of A Pretty Despicable Man. These included obtaining ex-directory numbers — an offence under the Data Protection Act. His name is also down on orders for tracing the owners of cars. A more detailed analysis of the “Red Book”, carried out by ITV News in 2012, concluded that the number of illegal orders was actually 984. ITV News estimated the Daily Mirror spent over £92,000 on Whittamore’s services over a period of several years. The News of the World was another customer. It already employed another private eye — Glenn Mulcaire, later gaoled in the phone-hacking scandal — on an exclusive contract worth £100,000 a year. But the News of the World also used Whittamore from time to time. 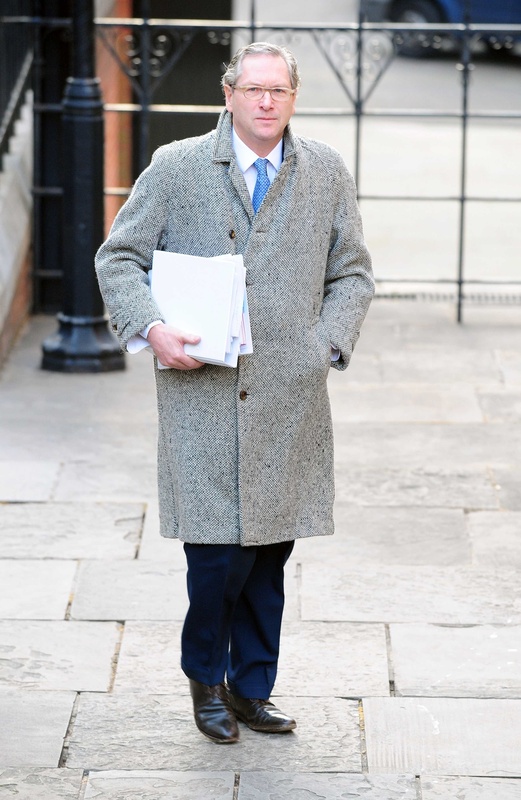 His “Blue Book”— concerned with requests from the Sunday tabloid — listed 23 journalists who spent more than £23,000 on obtaining unlawful information. One of those named was Rebekah Brooks. For most of the years these requests were being made, Brooks was News of the World editor and Coulson her deputy. Whittamore — he would later liken himself to “Oliver” working for the Fleet Street “Fagin” — was also working for other papers. They included the Daily Mail, the Evening Standard, The Sun and even The Times. how could Morgan, Brooks and Coulson not have known about the private detective’s arrest as they made their way to the Palace of Westminster for the Culture committee hearing on Tuesday, March 11? PIERS MORGAN was the first of the tabloid trio to appear before the committee. If he was aware a criminal provider of information to his paper had just been arrested, he didn’t show it. He was confident, cocky and combative. Morgan defended the Press Complaints Commission. Morgan was unimpressed with the testimony of ordinary people who told the committee they were unhappy about the way they’d been treated by the media. Morgan changed the subject and didn’t answer the question. LATER THAT morning, Brooks and Coulson appeared before the committee. The two tabloid bosses were well-briefed and well-supported. “They had many advisers with them and were treating the session with a lot of care,” remembers Adrian Flook. “We have paid the police for information in the past”. 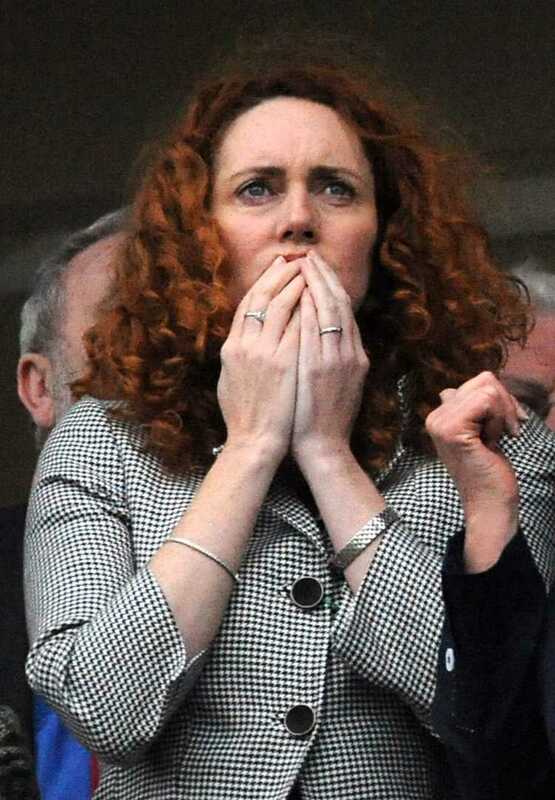 REBEKAH BROOKS made the damaging admission that she’d paid police for information in the past when she appeared before the Culture, Media & Sport select committee. She was cleared of all charges at the hacking trial earlier this year. 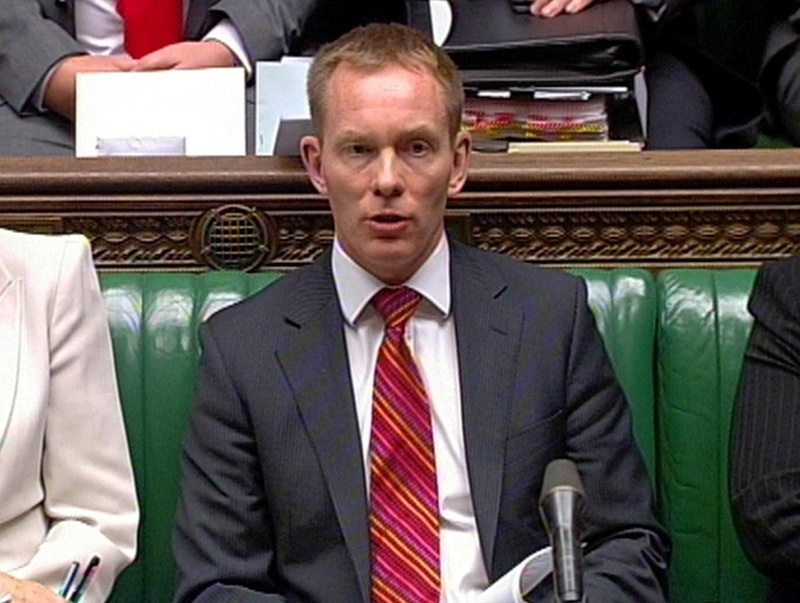 Rebekah Brooks started her answer but was interrupted by Coulson. The exchange was brought to an end by committee chairman Gerald Kaufman. THE MP’s questioning led to Rebekah Brooks admitting that she had paid police officers for information — a criminal offence. It was later revealed that his phone had been hacked by the News of the World: he received £40,000 in damages. Brooks had admitted what many had long suspected: some newspapers paid police officers for valuable information. Piers Morgan, a former Murdoch loyalist with stints on The Sun and a short period as News of the World editor, was in no doubt about the seriousness of the mistake. “That’s why I should never be seen or heard in public,” she told him. There has been speculation among investigative journalists that Brooks made her admission because she knew about Whittamore’s arrest. And feared the committee had also got wind of it. Was she trying to get an admission in before a committee member could make an accusation? If so, she didn’t realise she had confessed to a criminal offence. And why did Piers Morgan accuse her of “dropping the tabloid baton”? Was it because he knew the “dark arts” of illegal news-gathering were rife and that his own Daily Mirror was paying police for information? Was it because he’d been one of the trail-blazers back in 1994 when he paid an enormous sum of money for an explosive police report about Princess Diana? IN 1994 the News of the World gained access to a police investigation into anonymous phone calls made by Princess Diana. She’d been ringing a close friend of Prince Charles called Oliver Hoare. The editor at the time was Piers Morgan. 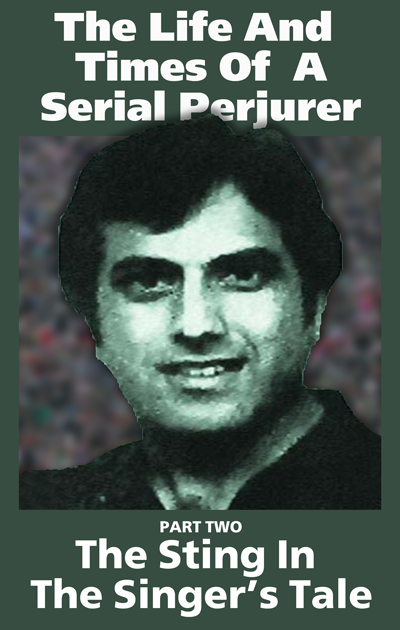 He tells the story of what happened in his memoirs, The Insider. 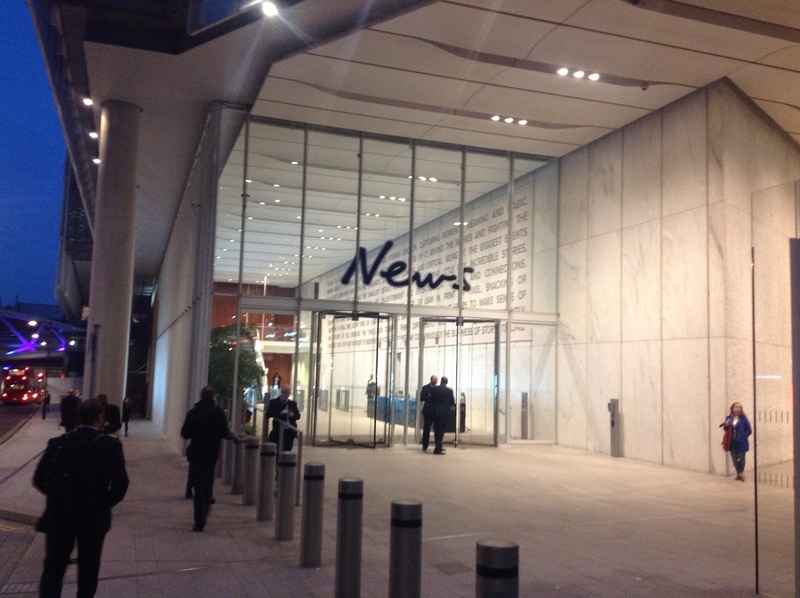 In August 1994 news editor Alex Marunchak and chief crime reporter Gary Jones walked into Morgan’s office at the News of the World. A source who had a copy of the report had read it over the phone and a reporter had taken a shorthand record of it. The police report revealed that Hoare had received hundreds of silent, anonymous phone calls. He called the police and BT traced the calls to Kensington Palace, the home of Princess Diana. When police told Hoare, he said that he and his wife were friends of Charles and Diana. He had been, in the words of the police report, “consoling her and becoming quite close to her” after her separation from Charles. When the paper put it to Hoare, he declined to comment. He did not deny there had been an investigation. The News of the World ran the story over the front page and four inside pages. The article had the by-lines of Gary Jones and Clive Goodman. (Clive Goodman was the paper’s royal correspondent. The level of detail in the News of the World article was extraordinary. It reported that Oliver Hoare went to the police in October 1993. Detectives contacted British Telecom’s specialist Nuisance Calls Bureau who provided Hoare with a special code to allow BT to trace calls. The first time this code was used was 13 January 1994. 8.45am: The phone rings and there is silence at the other end. Oliver [Hoare] activates the tracing equipment for the first time. It finds the source is a private number used by Prince Charles. 8.49am: Second call is made. 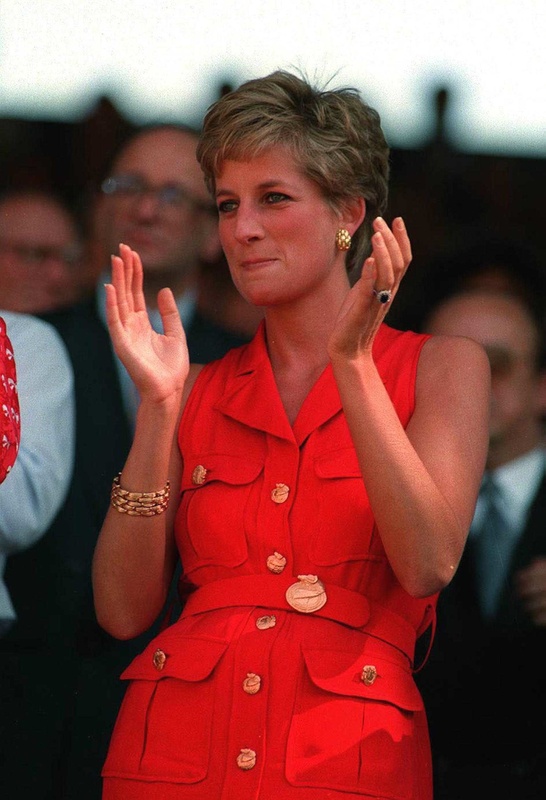 The call is traced to another number — Princess Diana’s private line. 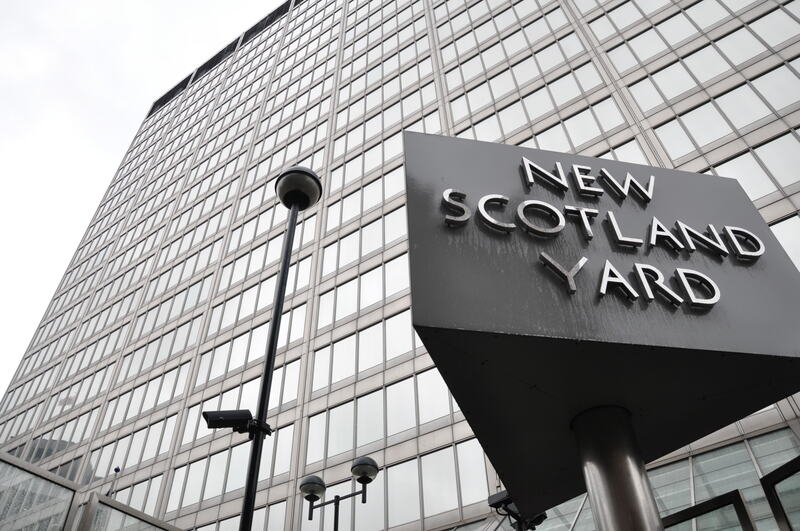 The reporters are told that the problem is passed on to Commander Robert Marsh, head of the Met’s Royalty Protection Squad. Marsh then briefs a senior Home Office politician who alerts the Royal Household. The calls come to an end. BUT DIANA immediately denied the story — and the next day, Monday, the Daily Mail published a long interview with her. “I feel I am being destroyed,” she said. An anxious Piers Morgan was up early that day and, having read the Daily Mail interview, rang news editor Alex Marunchak at seven in the morning. The News of the World was already getting calls from other newspapers asking if Morgan was going to resign. But there was to be an extraordinary intervention. Morgan was in the shower later that morning when his wife told him Rupert Murdoch was on the phone. Morgan thought he was going to be fired. RANG HIS worried editor from the United States and told him the Princess Diana story was true. Just how he knew has never been revealed … but likely candidates include Number 10, the Home Office or the Metropolitan Police. A relieved Morgan told him they didn’t have anything else on the story. Morgan went on the offensive and it soon became clear that the story was true. But the next day, the focus switched to the source of the News of the World story. The following Sunday’s paper led with the story that Diana’s former lover James Hewitt had also received “cranky” calls from her. 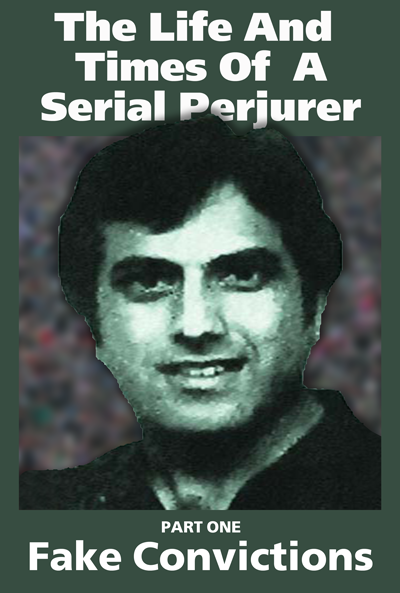 Reporter Gary Jones went on to win the Press Gazette Reporter of the Year Award in 1995 for his work at the News of the World, including the exclusive about Diana’s anonymous calls. When Piers Morgan was appointed editor of the Daily Mirror in 1995, Gary Jones soon followed. 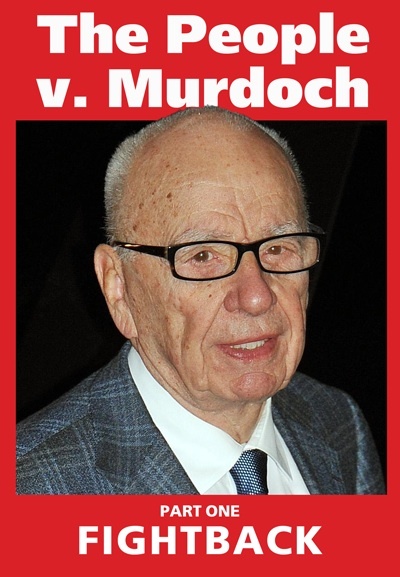 At the paper, he became a major customer of private eye Steve Whittamore. Today, he’s the Executive Editor of the Daily Mirror. LAST NIGHT Piers Morgan was busy on his Twitter account. He has more than 4 million followers on the social media site. We asked him to get in touch with us so we could give him the opportunity to reply to the allegations made in this article. — and if the company would suspend Jones pending an internal investigation. We also tried to get in touch with Tom Newton Dunn. 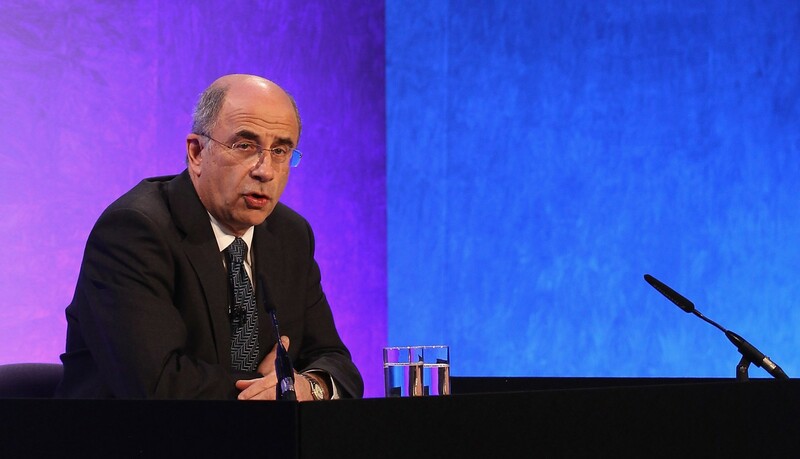 As political editor of The Sun, he’s one of Britain’s most powerful journalists. We sent a message via Twitter but he never replied. We also contacted The Sun. We asked if the paper if it was confident Newton Dunn had not broken the law in his news-gathering at The Sun after he joined in 2003. We asked if there would be an internal investigation — and if Newton Dunn would be suspended pending the result of any such investigation. 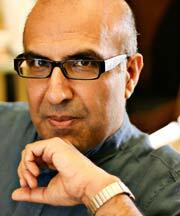 The Sun recently suspended reporter Mazher Mahmood after a judge accused him of lying during the Tulisa Contostavlos trial. We also wrote to private eye Steve Whittamore. THIS BOOK is that rare beast — a ground-breaking volume that’s also entertaining and informative. A writer’s eye view of what went on during the 130 day Old Bailey trial of Rebekah Brooks and Andy Coulson, it’s based on Jukes’ experiences as he reported live via Twitter. Note the word writer in that last sentence. 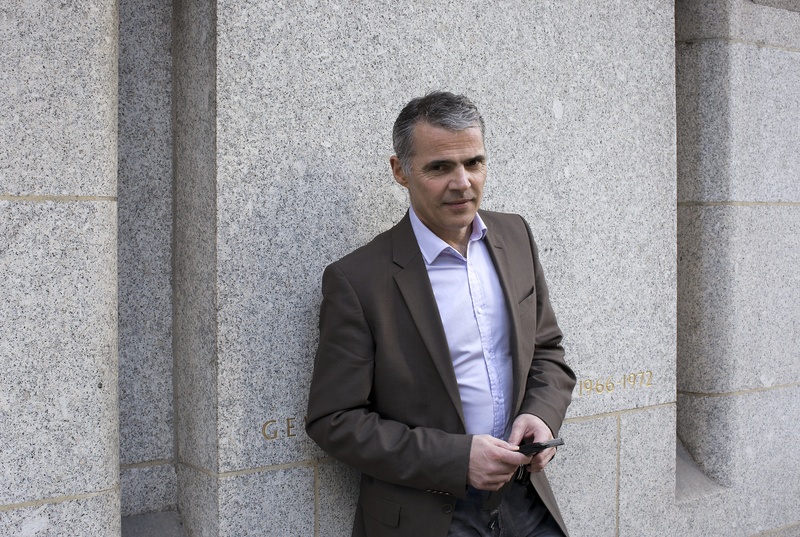 PHOTOGRAPHED OUTSIDE the Old Bailey — his workplace for nearly four months — Peter Jukes covered the trial in thousands of live tweets. 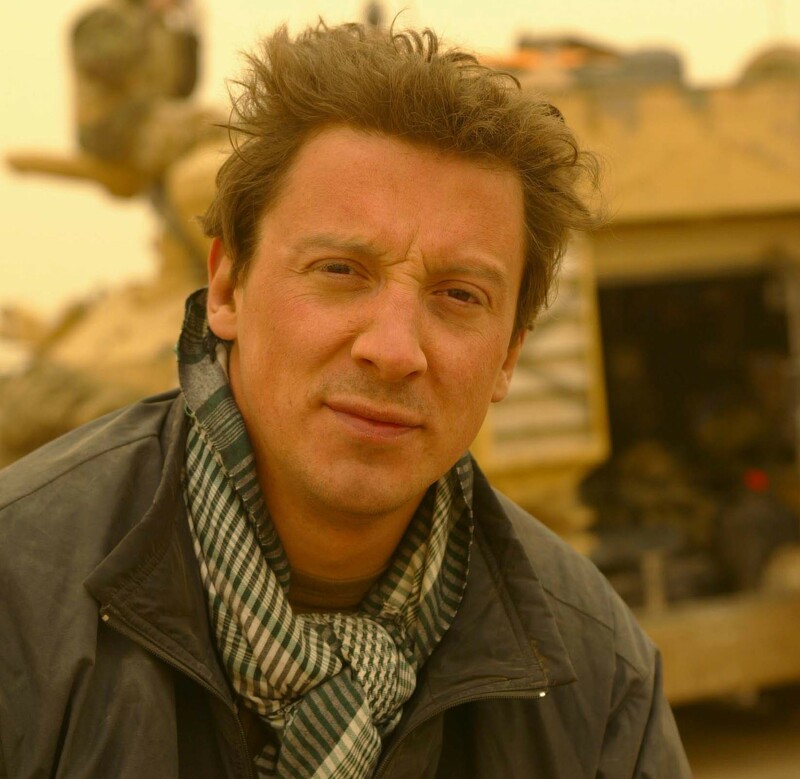 Jukes isn’t a professional journalist, he’s a dramatist and novelist. He follows Peter Burden, the writer and entrepreneur whose 2008 book News of the World? was the first to expose the dark heart of the News of the World. But Jukes’ tweets were only made possible by an enlightened judge. Sir John Saunders is another rare breed — a judge concerned that justice in this country isn’t being reported as it used to be. As newspapers decline, press reporting of court proceedings is fading away. By permitting Jukes to live tweet, Saunders was allowing a fascinating experiment to take place. Generally speaking, it’s been accepted as a valuable addition to the proceedings. Jukes also pioneered crowd-funding — where followers underwrite the cost of the reporting — in British court reporting. And, by adding this book to the tweets, he’s brought another dimension to his coverage of the trial. The book doesn’t repeat (retweet) the tweets. Instead, it goes behind the scenes and shows what, normally, only court reporters get to experience. There’s a little of Dickens’ sharp observational eye in his accounts of the David v Goliath battle that took place in Court 12. 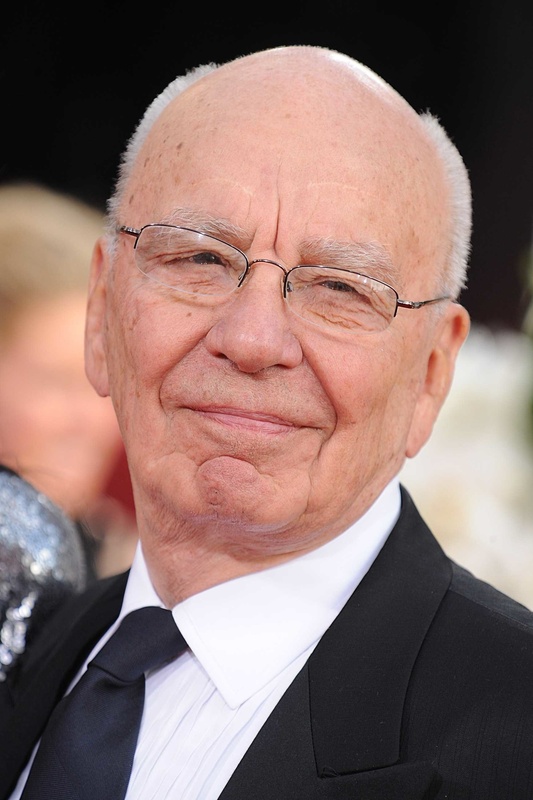 Naturally, this being the underlings of billionaire Rupert Murdoch versus The Crown, the normal rules were suspended. In this trial, it’s the Crown that’s David. The formidably talented and fantastically expensive battery of QCs acting for the defendants is Goliath. The Crown’s two QCs were outgunned by the magnificent seven of the defence. Jukes’ account of their battle over the love letter Rebekah Brooks wrote in 2004 — but never sent — to her lover Andy Coulson is fascinating. 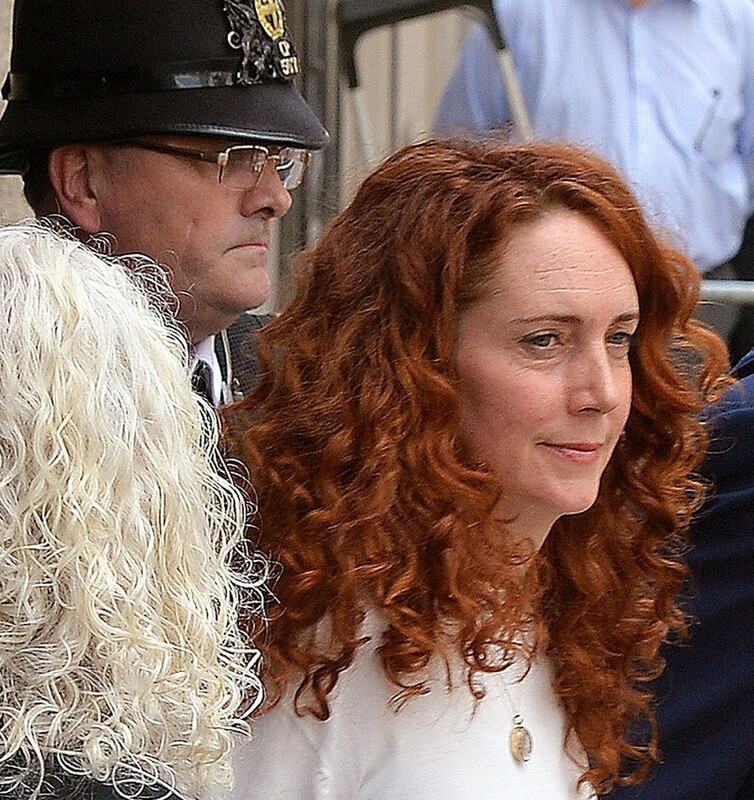 Initially, although it’s hard to believe, the defence tried to argue that bringing it into the trial would infringe Rebekah Brooks’ … privacy. Both attempts failed but many reporters felt the defence overwhelmed the prosecution. 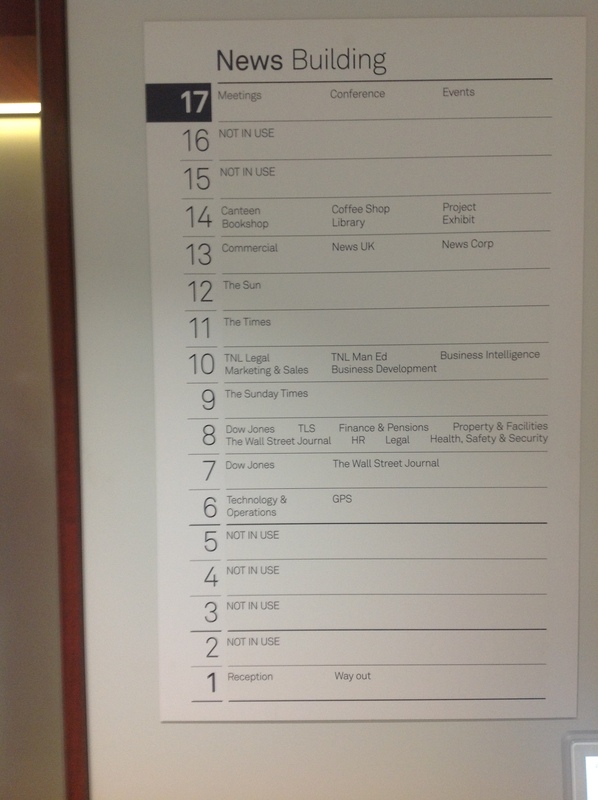 The book isn’t perfect — in the haste to get it out, there are typos and the index is spartan and sometimes unhelpful. The book is a triumph and begins to show the internet, as well as hammering the viability of newspapers and magazines, is starting to throw up new forms of writing and journalism.